Near the shores of Lake Michigan, in the heart of cherry country, Shoreline Fruit makes its home. We are the growers, processors and marketers of a full complement of the finest cherry products and other dried fruits available anywhere in the world. Our vertically integrated family of companies provides an exceptional level of quality in everything we do — from the planting of saplings to the delivery of flavorful, nutritious products and responsive, personalized service. This singular dedication to excellence drives our ongoing pursuit of superior products and processes, while inspiring our strong, proactive approach to environmental stewardship and sustainability. 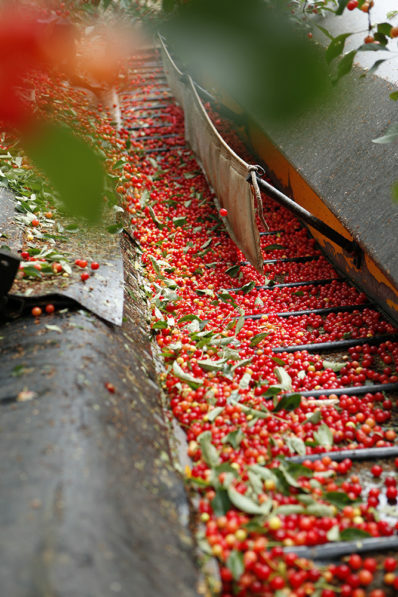 We utilize proprietary technology to help cool the cherries after harvest and recycle the water. Wind is harnessed to protect orchards and fruit from frost. Alternate row and border spraying of protectorates reduces our pesticide and fungicide use. Composting and cover crops enrich the soil. Metallic strips on saplings repel hungry deer. And nesting areas for hawks and owls encourage rodent control through natural predation. During harvest, our orchards are as busy beneath the midnight moon as they are in the midday sun. Picking the cherries right at their prime means working 24 hours a day until the harvest is complete. After being gently shaken from the trees, harvested fruit is transported on cherry-colored school buses that have been custom-converted into flatbed trucks. The cherries are taken to a cooling pad where an innovative, proprietary hydro-cooling system super-cools the fruit to 35°F within the hour, while also recycling the water. 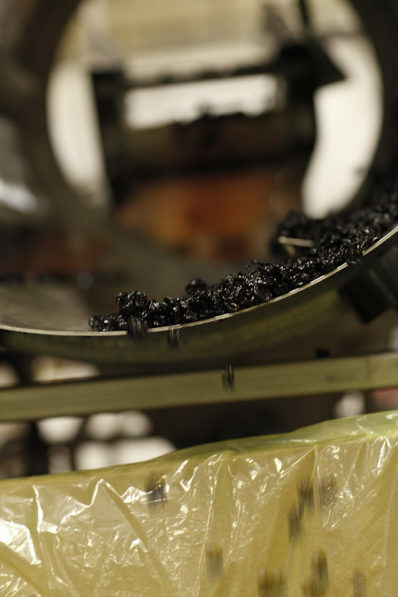 The great care with which we harvest our fruit is a crucial step in preparing our exceptional quality products. Shoreline Fruit’s vertically integrated pitting, packing and freezing facilities are strategically located near our orchards, enabling us to process and pack fruit products of the highest quality available anywhere. Our plants are food-safety audited and maintained in adherence to the strictest guidelines for quality. We begin the drying process of our sweetened dried fruit with a natural, slow sugar infusion to give our dried cherries, blueberries and cranberries the perfect level of sweetness. 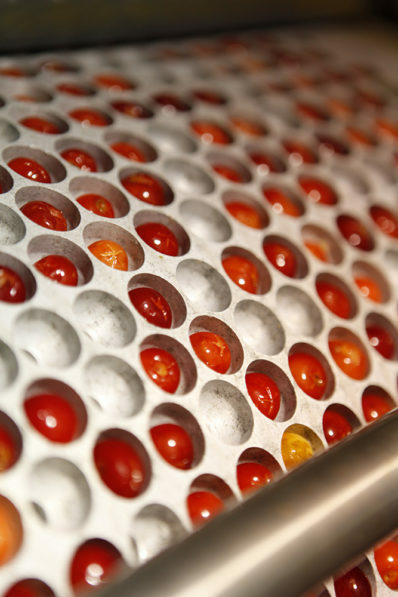 The infused fruit moves to a continuous dryer where a carefully determined amount of moisture is removed. Our apples are produced without any added sweeteners. We also offer a variety of unsweetened dried cherries, blueberries and cranberries.